Discussion in 'Discussions on Current Topics' started by Mal3ficent, Mar 13, 2019.
i've got one question...where can i get the doll/pet parts ? opened some gold chests and got nothing...or did they change smth ? not some shame rlly ? an event , the last, that all are waiting for.. and it's crowed full slow and lagg, loading??? rlly?? got it mate, one more question, does it worth to open golden chests ? or better to open small ones ? You only get 2 keys per M2 Boss, no matter what difficulty level. So open one 1xChest each round till you have 20+ keys. Then open one 10xChest and then go back to one 1xChest and repeat. The reasoning on this is that it is entirely possible to get 3 10xChest on the same map* and then you'll need at least 10 keys to even open a chest. The secret lairs are so badly made that they must force us to enter by changing the existing events so that we receive things from the event in the lairs. Such a bad drop of clovers will never be fixed? Summary of the lairs: you only get clovers in the final chest and in the boss of the event, that means when the event ends we will receive 2-3 clovers from each lair and just because you let the chest always appear with a hotfix. In theory there are about 4 or 5 different challenges, why have only seen 2 since they were implemented? And use 1 key for... killing a boss supposedly of an event but that they wanted to put in there trying to force players getting into the lairs with an impossibly bad drop, because they do not know what to do to make people use the keys, they have not thought about improving the ridiculous drop of clovers, for example. The event is great. I would say one of the most fun events for a long time. I really loved the tiered progression and the rewards are very good (not the best), but each tier has rewards and they are not bad. Extra clovers from a boss in dungeon is fantastic. Love the idea. Spawning the entrance to the edge of the map. Welcome improvement. Now no more accidental clicking and losing all the loot. There are some bugs though. In my team, sometimes people get transferred into different lairs. Some goes to Dragan and some goes to Khalys. It is a bit of a frustration, but the occurrences are about 1 in 10, so not a big deal. I would really prefer if 4 or 5 chests become available after killing the boss, instead of 3. This way, we have more of a choice when to open the chests. In my team, sometimes people get transferred into different lairs. Some goes to Dragan and some goes to Khalys. Its an old bug. It happens when one player is lower than 55. Players lower than 55 have a different set of bosses for the second map, so two sets of portals spawn. The real problem is that the portals for Khalys, Gorga, Destructor, Balor, Djin, Dragan, and Gwenfara all spawn in the same spot. Depending on which portal is "on top" for the different players, they can go to different bosses. On the other hand, you can get lucky and two portals will pop up in different spots and actually give you a choice. I love it when it gives me a choice to do a Draken Core boss vs a normal core boss. Thing is, this is such an old bug... they should really have it fixed by now. With the portals spawning at the edges of the map, there should be more than enough space for them to give each boss it's own unique position so that there is no overlap whatsoever... but they are apparently too lazy to fix a simple and long standing bug that has been reported dozens of times. "Improved the download of game data to avoid the game being randomly frozen." Ok, I finally finished event and can begin r216 feedback. - more than 1 gold chest possibility is good. - Lairs are providing a good ratio of time investment to clover reward: <5 minutes to 100% 3 clover drop. - Dragan lair map costs are not reasonable. 80 realm fragments is too much for 1 inf4 run. 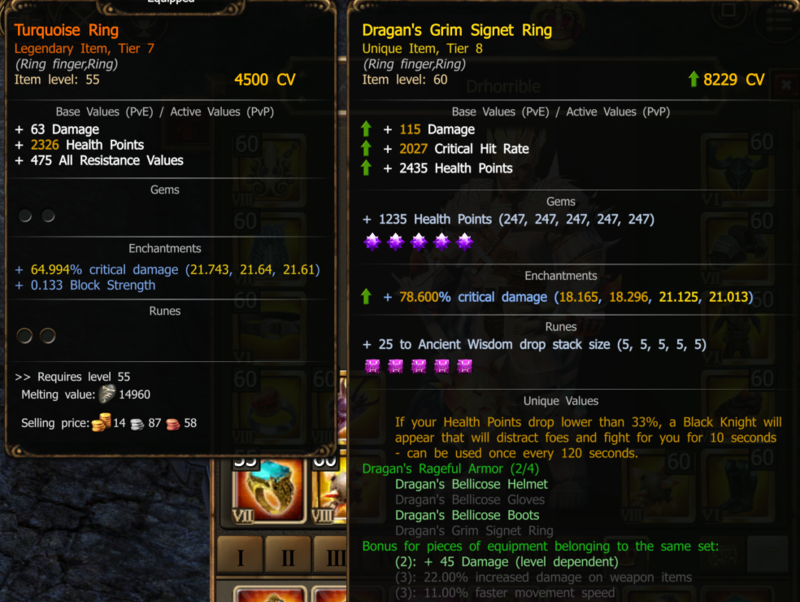 - Dragan unique drop rate is lower than during dragan event. - Not a good source of draken cores to address the deficit created by the disliked r213/214. - No significant improvement to the hated Guardian lair map. 30 min time investment does not justify a lame 4 clover reward. (Neither do regular maps really, that's why people had hundreds of coins saved up). - Pet recipes now rely less on luck, more on duration of mindless farming. Sorry for my late response, definitely not worth it, if you ask me. I don't say there aren't some good items that could drop, but I'm old player and don't need most of them. Look yourself and make decision. Look at the place of the speed bonus. I wanna ask you why??!! This is one of the reasons for the bad cfrafting results! 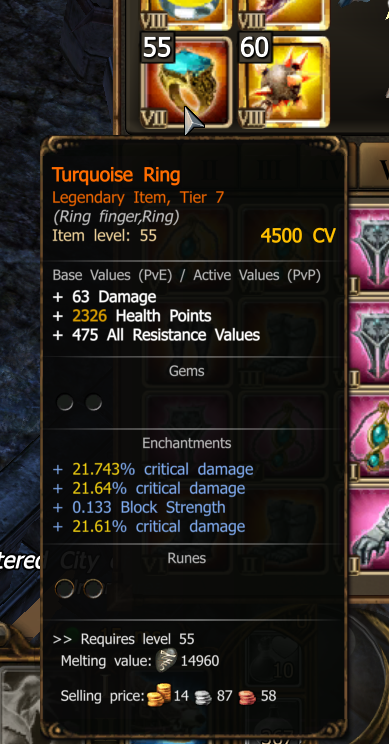 - The half ot this runes are unnecessary too . - Draken cores - very good sourse , may be your tactic is wrong. - lair with guardians - again wrong tactic - you have 3 guaranteed clovers per run ,regardless of the difficulty. If you enter in map with guardians - miss the room with single guardian , fight in rooms with mobs only. - pet recipes - personal luck too , BP don't guarantee that you will get all the necessary parts,they also do not guarantee that this will happen right away at this event. If you are finished the event for 3 days , then you have enough time for extra farming . Complaining : " I don't have drop " for two days event playing are unconvincing. Try looking at the item when it isn't in compare mode... plus, this has absolutely nothing to do with crafting. Also it has nothing to do with R216. I mean, the speed bonus is on the last place and not on the first place. But when I put him in the workbench and do the craft, the bonuses are shuffled by the craft itself and show that it has taken the first two rows of bonuses, in this case the speed bonus that is not really there but is on the last row of the item. The new item should actually take both bonuses for a critical chance, but because it has shuffled the bonuses, the craft is unsuccessful. Did the order change? No, it didn't... it is just the "Compare window" grouping all the crit damage together. You have no clue what you are talking about, as seen above. And, even if the order did magically change, the game isn't trying to screw you out of a nice item... it is RANDOM! Keep crafting instead of whining about mechanics you don't understand. Come back with feedback when you learn what feedback is. ...it has nothing to do with R216. It has been like this since Crafting 2.0 was introduced.